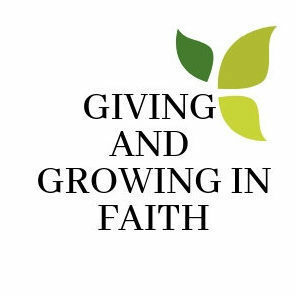 What is Giving and Growing in Faith at Good Sam? We’re Glad you Asked! A program of making a connection between our Spiritual Growth and our actual impact in Ministry through Good Sam and in the World. Yes, we talk about “giving” and yes we talk about growing in faith and giving. Yes, we invite you to pray about making a spiritual and financial commitment to God, to yourself and to Good Sam for the coming year. As we journey in faith and with our neighbors, we look for opportunities to encourage each other in steps that help us discover meaningful expressions of faith and vibrant life within us. At Good Sam we always hope to walk alongside each other as we talk and learn about faith and life together. Announcement of Consecration Sunday and invitation to attend our Celebration Meal on October 8th. Three Temple Talks during Worship leading up to Consecration Sunday (Oct. 14, 21 and 28). An invitation to make a commitment to yourself and a pledge to invest in ministry, growth and mission in the coming year. Consecration Sunday is November 4th this year. We hope you will join us in Worship at 9 A.M. for this shared effort to think about our faith lives and invest in growing in faith and mission in the coming year. Also that morning we will celebrate our combined efforts during a brunch immediately following worship (about 10 A.M.) and simply enjoy each others company. It will be a blessing to hear the results of our combined efforts and commitment to give and grow in faith in the coming year. Giving to Shared Activities. What we do here has impact. It shapes our lives. It overflows into the lives of people we touch and see. We hear this from people who visit Good Sam, who are touched by our community involvement and by the lives we nurture though our own faith lives. It come through congregational activities and ministries that touch lives and it overflows into the lives of others where our synod and denominational ministries have impact. Below is a video of one such impact. Sustaining Each Other from ELCA on Vimeo.